KNOXVILLE, TN — March 8th, for over a century, has been recognized as International Women’s Day. This movement which began in 1914 is unique and is not specific to any country, group or organization. All over the world , programs and celebrations will be held recognizing the ongoing movement for women’s rights. The day also recognizes the social, economic, cultural, and political achievements of women. This year the theme is #pressforprogress as women encourage people to think, act, and be gender inclusive. Across the world women are making gains with growing levels of advocacy and activism and support of each other. 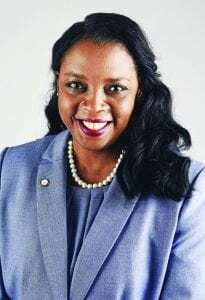 In Knoxville, County Commissioner Evelyn Gill is leading the charge to support and uplift women by hosting local festivities with a weeks worth of events around different city venues honoring Knoxville women leaders. The week begins by honoring Martha Boggs at the Historic Bistro at the Bijou downtown and later in the week, Jen Parker will be recognized at an event at the Crafty Bastards Brewery off Emory Rd where they will introduce a special blended International Women’s Day beer. There will also be an event honoring the candidates running for office at the famous LaFetta’s Soul Food Restaurant and the week will be culminating on Friday evening with a huge celebration at the Knoxville Museum of Art featuring Dance presentation by the Sandstation Dancers, musician Kelly Jolley and Chelsea Samples, and Jeannie Fuller and the Boyz. Heavy hord’oeuvres by one of Knoxville’s leading caterers, Soul Elegance Catering will round out the evening. It is a career field that nationwide, only 13% of women serve. A dangerous field where the individual must rush into danger; placing their own lives on the line to save others. 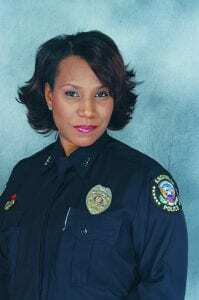 It is the job of a police officer and for over 24 years, Shelley Sampson Clemons has faithfully served as an officer with the Knoxville City Police Department. Recently recognized by her peers for her distinguished service during Black History Month, it is only fitting that Clemons be further recognized during March for Women’s History Month for her contributions to the community of Knoxville. Hired in 1994, Clemons, now an investigator with the Special Crimes Unit, has wanted to serve as an officer from early childhood. A woman of integrity, she is a positive role model in the city for young women. 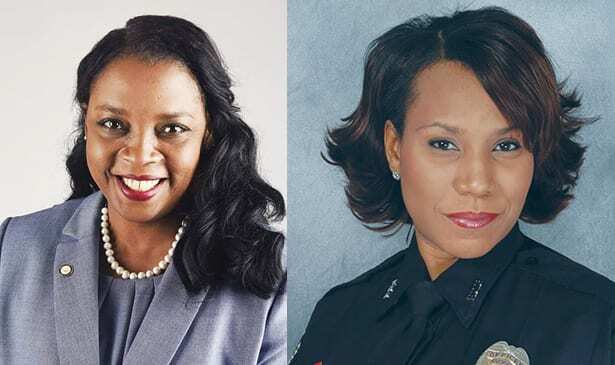 Investigator Clemons began her career as a patrol officer and has long been a protector of children and victims of abuse. She is currently serving on the Elder Abuse CCR team and most recently was appointed as liaison for the police department and the LGBT community.